Belan Bach Lodges in Powys sleeps between 4 and 6 people, with the accommodation being lodges. 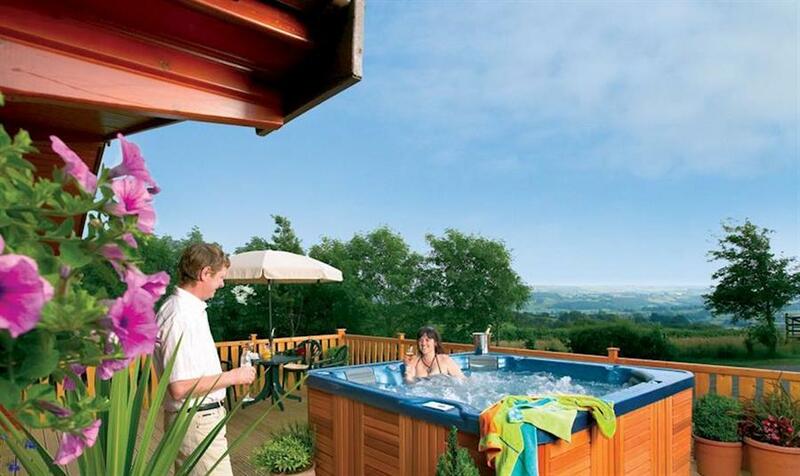 Commanding panoramic views over the Banwy Valley from their peaceful setting above the small village of Llangadfan, these well-appointed lodges enjoy elevated balconies overlooking their own lawn and are perfect for escaping the hustle and bustle of modern life. The park is surrounded by rural tranquillity, yet with a village pub and shop within 2 miles, a putting green available (weather permitting) on site and this is an ideal location for touring. The beaches of Barmouth and Aberdyfi are within an hours' drive. Wildlife, wonderful scenery and trail walking abounds, and Lake Vyrnwy, with its RSPB centre and watersports, is just 6 miles away. Welshpool, Powis Castle, King Arthur's Labyrinth and the renowned Centre for Alternative Technology, with its unique water-powered railway, are all close by. If you want to find out what other people have said about Belan Bach Lodges, read the reviews on Belan Bach Lodges for more information. And, for those last minute bargains, have a look at some of the special offers available at Belan Bach Lodges. "Lodge with one double with ensuite shower, one twin and one twin that converts to king size double  please check when booking. Bath with overhead shower. Decking with garden furniture. outdoor hot tub. No pets." Pine lodge with one double with ensuite shower one twin and one twin which converts to a king size double  please check when booking. Bath with overhead shower. 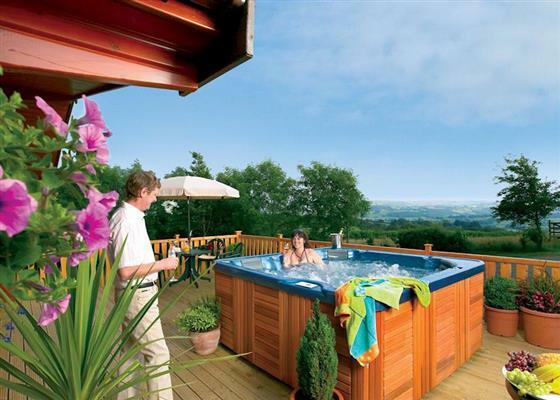 Decking with garden furniture and outdoor hot tub. No pets. Find out about Belan Bach Lodges, including prices and availability. There aren't currently any special offers at Belan Bach Lodges however, the special offers shown below are all on parks within 30 miles of Belan Bach Lodges - so you may find these useful. There are 57 holiday parks within 15 miles of Belan Bach Lodges. Upper Close in Walton, Powys, and sleeps 8 people. 35 miles. Acanthus Cottage in Welshpool, Powys, and sleeps 4 people. 16 miles. Little Brampton in Clunbury, Shropshire. 30 miles. The Owl House in Welshpool, Powys, and sleeps 2 people. 16 miles. Oaklands in Dolgellau, Gwynedd. 15 miles. Minallt in Pwllheli, Gwynedd. 46 miles. The Old Railway Tavern in Clun, Shropshire, and sleeps 6 people. 33 miles. White Hopton House in Sarn, Bishops Castle, and sleeps 12 people. 19 miles. Treburvaugh House in Knighton, Powys, and sleeps 16 people. 30 miles. Didfa in Beaumaris, Gwynedd, and sleeps 5 people. 49 miles. Bodlondeb Cottage in Clwyd, , and sleeps 4 people. 29 miles. Mere Cottage in Nantwich, Cheshire, and sleeps 5 people. 49 miles. Glandwr Terrace in Blaenau ffestiniog, Gwynedd, and sleeps 3 people. 28 miles. Iola Cottage in Llandudno, Gwynedd. 46 miles. Waldeck in Chester, Cheshire. 48 miles. Plas Iwrwg Granary in Llanrwst, Gwynedd, and sleeps 2 people. 37 miles. The Manor House at Plas Meini in Llan Ffestiniog, Gwynedd. 27 miles. Gwardolau Cottage in Rhayader, Powys, and sleeps 6 people. 27 miles. Hendy in Caernarfon, Gwynedd, and sleeps 6 people. 41 miles. Llofft Allan in Ardudwy, Gwynedd, and sleeps 2 people. 27 miles. Llangain Farmhouse in Wye Valley, Herefordshire, and sleeps 8 people. 47 miles. Filbrenik in Dudleston Heath, Shropshire, and sleeps 8 people. 27 miles. Cefn Colwyn Barn in Caersws, Powys, and sleeps 4 people. 12 miles. Grove View in Leominster, Herefordshire, and sleeps 6 people. 47 miles. Crabapple Cottage in Oswestry, Shropshire, and sleeps 4 people. 17 miles. Craig Y Rhos in Machynlleth, Powys, and sleeps 6 people. 15 miles. Pen y Pigyn in Afonwen, Clwyd, and sleeps 3 people. 38 miles. The Cauldron in Blaenau Ffestiniog, Gwynedd, and sleeps 2 people. 28 miles. Smithy Farm in Frodsham, Cheshire, and sleeps 7 people. 47 miles. Hendre Barn Mawr in Abergynolwyn, Gwynedd, and sleeps 8 people. 21 miles. Garth Y Pistyll in Llangollen, Clwyd, and sleeps 6 people. 23 miles. Longlands in Hay-on-Wye, Herefordshire, and sleeps 10 people. 45 miles. The Town House in Bala, Gwynedd, and sleeps 8 people. 15 miles. Henllys Lodge in Llandovery, Carmarthenshire. 49 miles. Hirros Hall Longhouse in Welshpool, Powys, and sleeps 6 people. 4 miles. 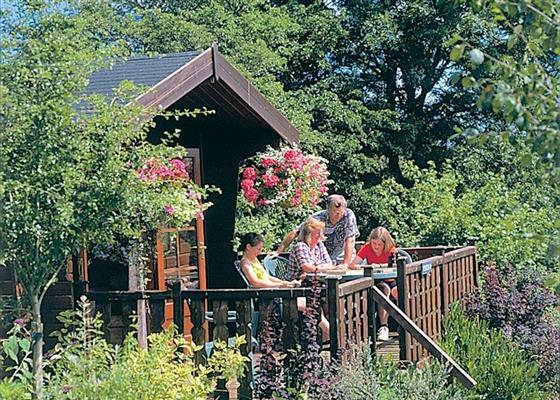 Brookway Lodge in Whitford, Flintshire, and sleeps 18 people. 41 miles. Troopers Barn in Church Stretton, Shropshire, and sleeps 12 people. 33 miles. Elleray in Chester, Cheshire, and sleeps 9 people. 43 miles. Criftin Farmhouse in Bishops Castle, Shropshire, and sleeps 8 people. 27 miles. Deildy in Bangor, North Wales, and sleeps 6 people. 43 miles. Bedw Barn in Newtown, Powys, and sleeps 14 people. 13 miles. Craigllwyn Farmhouse in Oswestry, Shropshire, and sleeps 11 people. 17 miles. Far Hill Cottage in Trewern, Welshpool, and sleeps 5 people. 17 miles. Hersedd Barns in Mold, Clwyd, and sleeps 6 people. 37 miles. The Coach House in Lampeter, Wales, and sleeps 20 people. 45 miles. The Chapel House in Prestatyn, Clwyd, and sleeps 12 people. 43 miles. 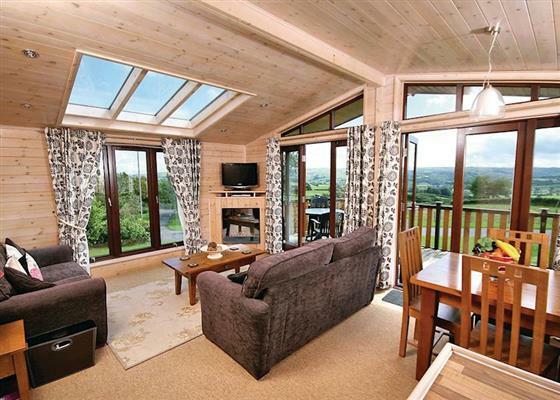 Fir Tree Lodge in Abergele, Denbighshire, and sleeps 4 people. 38 miles. Rosehill Manor in Market Drayton, Shropshire, and sleeps 20 people. 42 miles. Wendon in Pwllheli, Gwynedd. 43 miles. Riverside Cottage in Dolgarrog, Gwynedd, and sleeps 2 people. 36 miles. Bronawel in Oswestry, Shropshire, and sleeps 11 people. 19 miles. Morrells Wood Farm in Shrewsbury, Shropshire. 39 miles. Holly Farm Cottage in Llandrindod Wells, Brecon Beacons, and sleeps 6 people. 33 miles. The Balance Farm in Kington, Herefordshire, and sleeps 14 people. 39 miles. Trederwen House in Welshpool, Powys, and sleeps 12 people. 16 miles. Sisial Y Llyn in Bala, Gwynedd, and sleeps 9 people. 15 miles. Penlan House in Barmouth, Gwynedd, and sleeps 10 people. 24 miles. Shepherds Rest Cottage in Ludlow, Shropshire, and sleeps 6 people. 44 miles. Tynrhyd Retreat in Aberystwyth, Ceredigion, and sleeps 28 people. 28 miles. Maes Rheidol in Aberystwyth, Dyfed, and sleeps 7 people. 29 miles. Hindwell Farmhouse in Presteigne, Powys, and sleeps 10 people. 36 miles. Bearwood House in Leominster, Herefordshire, and sleeps 10 people. 41 miles. Gorse Hill in Prestatyn, North Wales, and sleeps 12 people. 43 miles. Buttercups Haybarn in Whitchurch, Shropshire, and sleeps 10 people. 36 miles. Burrills View in Craven Arms, Shropshire, and sleeps 6 people. 30 miles. The Grange at Hencote in Shrewsbury, Shropshire, and sleeps 12 people. 30 miles. Leaton Corner in Bomere Heath, Shropshire, and sleeps 4 people. 29 miles. Wren Cottage in Prestatyn, Denbighshire, and sleeps 5 people. 40 miles. Manor Wood in Coddington, Cheshire, and sleeps 10 people. 39 miles. Devil's Bridge Retreat in Aberystwyth, Cardiganshire, and sleeps 28 people. 28 miles.